2015 will soon be upon us, and if you’re not aware that’s the same year Marty McFly visits in Back to the Future II. While I don’t know about you, I’m more than a little bummed there are no signs of a near-future where our kids fly down the streets on hoverboards. However, despite a lack of hoverboards there’s a lot to be excited for if you’re a digital marketer leveraging video to drive your organizational goals. Check out these 10 statistics that point to a highly competitive and promising future full of videos. 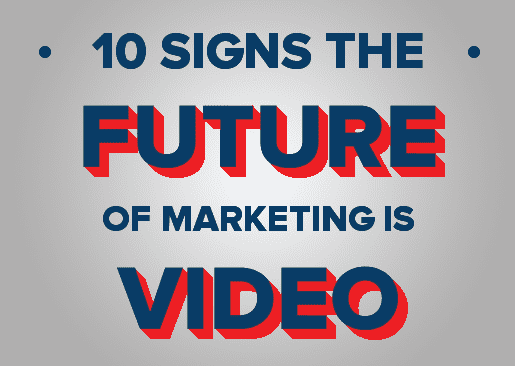 1: 74% of all internet traffic by 2017 will be video. 2: The number of users watching video on their devices at least monthly is projected to rise to 86.8 million by the end of 2014. 3: YouTube is the number two search engine in the world. 4: 33% of tablet owners watch one hour of video per day on their device. 5: In 30 days more video content is uploaded than all 3 major U.S. TV networks combined have created in 30 years. 6: 80% of your visitors will watch a video, while only 20% will actually read content in its entirety. 7: 75% of executives watch work-related videos on business websites at least once a week. 8: 75% of users visit the company’s website after viewing a video. 9: 90% of users say that seeing a video about a product is helpful in the decision process. 10: An average user spends 16 minutes & 49 seconds watching online video ads every month. If you want to make sure your organization isn’t left in the past, contact us today! One of our experts will gladly answer your questions and help determine the best video option for your organization.